We know that Hemwanti Nandan Bahuguna Garhwal University is an Uttarakhand central university offered various courses for the students. The Headquarter of the Garhwal University is situated in the Srinagar Garhwal, of the Pauri Garhwal Districts of the Uttarakhand state. So as of now the Garhwal University has declared the results of B.PED 2013. B.PED is a bachelor degree course in Physical educations. And every year many students are appeared for this degree. So now the HNB Garhwal University has declared the results of B.PED online. So now all the B.PED students are check their results online. So here below I am giving a link to get your B.PED results of 2013 of the HNB Garhwal University. So just click to the given link and fill your roll number or registration number on appropriate box and then click to submit, then you will get you results and mark details in it. And I wish you all the best for your results. 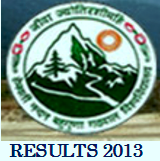 Click here to get your HNB Garhwal University B.PED results 2013. Check here the other results of HNB Garhwal University 2013. For more updates about exams and results you may follow us by email. And for any queries you can also mail us at onlineuttarakhand@gmail.com.